Frustrated with facilities and maintenance. Not worth the price. The units aren't well maintained and very expressive for such an old complex. Hi Rachel M., we appreciate your honest review. We set a high standard for ourselves, so we are disappointed to hear that your experience with us was not a positive one. We would like to have a better understanding about your experience. Please reach out to us at (432) 697-4894 at your earliest convenience and we will do our best to resolve this with you. The place is really nice and are apartment is really cozy!! I really love how the people is here really nice people. Ms Ashley helped us get this place and she was really nice and very patient with us. Michael A., we're happy you found our staff to be so supportive during your experience here at Waterford at North Park. We are always more than happy to assist you if anything else comes up. Take care! Maintenance takes ridiculously long. There was a rodent living in the wall. The apartment was not ready for us to move into when we got there. Also the pictures on the website are not accurate. Neighbors dog are always barking, other neighbors are always smoking, therefore we can't enjoy our patio. I've stepped in dog poop on the sidewalk. Just don't feel like the money I'm spending is getting me anything. It's in a good location though. Hi Erin C., we appreciate your honest review. We set a high standard for ourselves, so we are disappointed to hear that your experience with us was not a positive one. We'd like the opportunity to discuss this with you. Please reach out to us at (432) 697-4894 at your earliest convenience to discuss how we can turn your experience into a positive one. Staff is very easy to work with and helpful getting things transitioned easily. I was not familiar with electricity choices such as here and they helped make that seemless. James Y., thank you for your kind review; we are happy to pass along your comments to the team here at Waterford at North Park! Appliances are too old. Staff is slow to respond, if they choose to respond, and usually unwilling to sovle issues. WAY TOO EXPENSIVE!!!!!!! Robert L., we're disappointed to hear of the negative experience you had at our location.When you have an opportunity, please reach out to us at (432) 697-4894 so we can try to restore your confidence in our business. Thank you again for taking the time to reach out to us, and we hope to hear from you soon. It’s a nice place to live very peaceful. The have expanded the grilling area which is nice. The office often has actives for the residents to come out and meet your neighbor. Crystal M., your wonderful feedback and rating mean a lot to us! Recently moved in to the apartment complex. Ines at the office made everything possible to help us move in sooner than expected as we really needed to. She was always on top of everything throughout the process. We placed two maintance orders shortly after moving in and both were taken care of asap. Love the staff and how family oriented the community is! Brinne O., we're happy you found our staff to be so supportive during your experience here at Waterford at North Park. We are always more than happy to assist you if anything else comes up. Take care! Renewing our third lease with them. Very minimal concern, location is very safe, nice neighborhood with balance amount of pets, decent size apartments and well maintained insides and not so out dated fixtures. Things to improve: pest maintenance, trash picking and easier process to upgrade of appliances especially when they are not working. Hello Lovely Mae R., we appreciate you taking the time to leave us this feedback. If you ever need anything else from us, please feel free to give us a call or stop by. Have an awesome day! I would rate more stars if we knew that rent was not going to go up, for no reason really but the greed of the owners. Not everybody works in the oilfield, I also do not like how maintenance has not fixed my ceiling issue but continues to tell me its fixed..
Brian B., thank you for leaving us feedback. We are disappointed to hear that your experience was not a positive one. We would like to work towards a resolution, so if you are willing, please reach out to us at (432) 697-4894 to discuss this further. People are friendly but maintenance takes awhile to fix things and the dumpster is always a mess. There isn’t a gym but the pool is really nice. Amelia S., thank you for the high star rating! If you ever need anything else from us, please feel free to give us a call or stop by. Have an awesome day! Great apartment complex. Very quiet and management has been awesome. They helped me negotiate a price for renewing my lease so I didn’t have to move anywhere else. 10/10 recommend. Haley B., we strive for 100% satisfaction, and it is great to see you had such a positive experience at Waterford at North Park. Thank you, and have a fantastic day! I like living here. The staff is friendly. The ladies at the lease office will help you with any concerns. I do not wait long for my work order to be taken care of. Hi Ella E., we are very happy to have provided you with such a positive experience! it's a great facility to live in! The pool area is just amazing! It would be nice if they would build a gym! I just wish my neighbors would be more clean with their dog. Hi Ana A., thank you so much for your positive comments about Waterford at North Park! I was expecting more noise in this area, but there is very little. The people I have came in contact with are very friendly. My experience has been great so far. Hi Rebecca G., thank you so much for your positive comments about Waterford at North Park! Quiet Apartment complex, people in the office are very friendly. Apartment is nice. The only thing is that the appliances need to be upgraded.. great access to all shopping stores and restaurants. Hi Connie G., thank you so much for your positive comments about Waterford at North Park! Please let us know if there is anything else we can do for you; we are more than happy to help! Michallyna K., we are so happy to read such a great review about Waterford at North Park! We are always more than happy to assist you if anything else comes up. Take care! We’ve lived here for almost 2 years. Everyone is amazing. I only have an issue with the work orders. It takes several days to get anything fixed. They expect you to follow the lease word for word but they do not hold up their end. Hello Amy J., thank you; we appreciate your feedback! If you need anything from us, please feel free to give us a call or stop by. We definitely want to take care of any issue. Thank you again and have a fantastic day! Now that we were relocated to a new apt it has been great and well kept. Clean, nice appliances, neighbors are friendly. No late night people. We really enjoy it. Hi Luis O., thank you so much for your positive comments about Waterford at North Park! Feel free to reach out to us if you need anything. Have a wonderful day. The best place to live. its a calm neighborhood. No drama here. The apartment was very clean. At first I had a person that was racist but that has change. Simon M., your wonderful feedback and rating mean a lot to us. If you ever need anything else from us, please feel free to give us a call or stop by. Have an awesome day! It was a pleasant experience getting an apartment leased and move in. Very quiet community. Couldnt ask for a better place to live. Really like the enclosed porch..
Kevin F., we strive for 100% satisfaction, and it is great to see you had such a positive experience at Waterford at North Park. Thank you, and have a fantastic day! It a nice place to live. Neighbors keep to them selves. The ladies in the office are nice. They have started having community events. It family friendly. 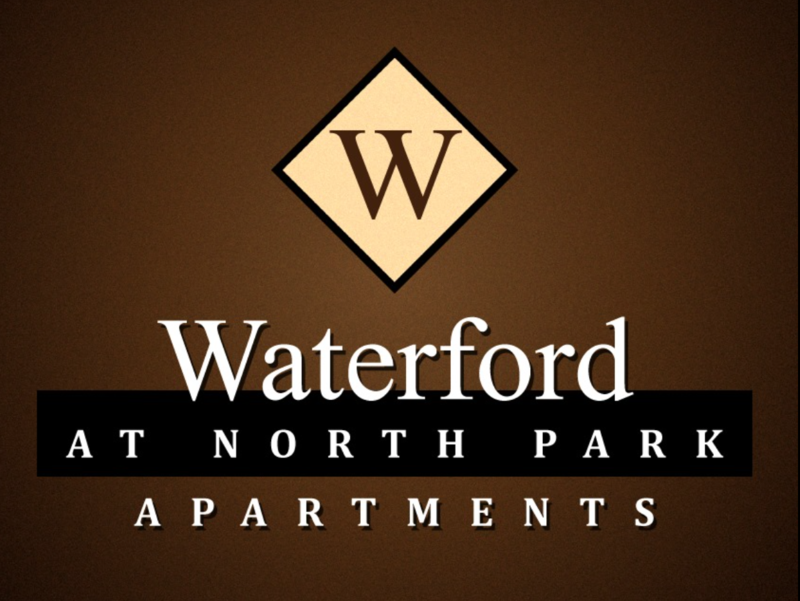 Hi Crystal M., thank you so much for your positive comments about Waterford at North Park! If you ever need anything else from us, please feel free to give us a call or stop by. Have an awesome day! So far it's a good community to stay in. The walls are thin in the apartment so if you stay downstairs it can be noisy. I like the valet trash though. Hi Akeyla D., we appreciate your honest feedback, as we are always looking for ways to improve. Please let us know if there is anything else we can do for you; we are more than happy to help! It's great to be able to finally stay somewhere that the management care about what their property looks like. A bit pricey but I'm from Dallas so everything is going to be pricey compared to what I'm used to. Joshua H., we are so happy to read such a great review about Waterford at North Park! If you ever need anything else from us, please feel free to give us a call or stop by. Have an awesome day! Moving in was an overall great experience! Ashley was wonderful and was so patient with us as we made our decision to live here. We love the updated alliances and how nice and spacious our new home is. We love the location and overall happy to be here. Emileigh, thank you so much for your kind words and wonderful review! We are happy to have provided you with such a great experience. We hope you have an amazing day!